Scenarios are widely used for long-term climate and energy analysis. However, in the great majority of studies with a handful of scenarios or scenario categories, both scenario developers and users capture only a subset of future uncertainties. We propose three focal points for reinvigorating the scenario technique to expand uncertainty consideration: (1) to ensure that scenario developers embrace an increased space of multidimensional uncertainties, (2) to facilitate the process of scenario users capturing this space, and (3) to evaluate and iteratively revise the improvement progress. 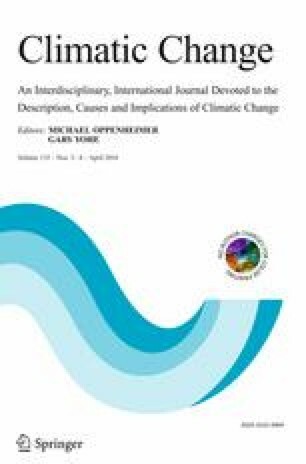 If these focal points are adopted, scenario studies in climate and energy analysis shall not simply stop after producing scenarios, but shall continue with techniques to facilitate elicitation of user-specific insights, as well as evaluation of both scenarios and scenario techniques. The UK Engineering and Physical Research Council WholeSEM outreach grant (Ref: EP/K039326/1) and CIRED enabled the collaboration of the authors in organizing the workshop “Innovative techniques for Quantitative SCenarios in ENergy and Environmental research: IQ SCENE” (WholeSEM 2014), 26–27 March 2014, University College London. The authors thank over 30 workshop participants for their active contributions as well as the anonymous manuscript reviewers for constructive feedback.